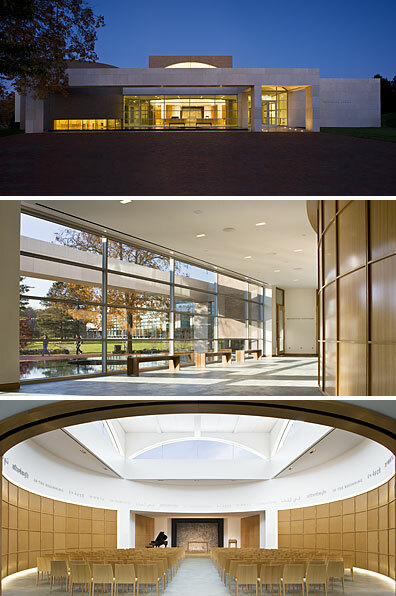 Faith & Form magazine and The Interfaith Forum on Religion, Art and Architecture (IFRAA) take great pleasure in announcing a 2010 Honor Design Award for Bryant University, Interfaith Center, in the category of Religious Architecture – New Facilities. The Design Awards Jury convened at The Duke Endowment on July 8th and 9th in Charlotte, North Carolina. Winning entries will be published in the Winter 2010 Awards Issue of Faith & Form magazine. An exhibition of award winning projects will be displayed at the 2011 National Convention of the American Institute of Architects.